The following is the first paragraph of an article in The Ecologist from April 2017. Still fancy one? If you are thinking about it, please do think again! 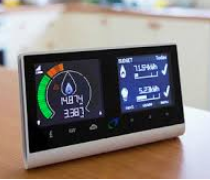 ‘Smart meters’ looked like a great idea, writes Lynne Wycherley, giving us more control over our energy use. The downside? They emit as many as 14,000 short bursts of intense microwave radiation a day, disrupting cellular electrochemistry and causing health symptoms from migraine to tinnitus, insomnia, dizziness, anxiety, chest pain, palpitations and memory loss. Now a growing number of ‘electro-sensitives’ have had enough!